The importance for property owners to ensure their plumbing is fitted with a backflow prevention device can’t be overstated. It only takes one property to contaminate the entire water supply of all other properties connected to it. Make sure your property is properly protected from the significant liabilities that could be faced from not having a backflow device installed by getting a specialist to do the job. While any licensed plumber is authorised to install or maintain a backflow device, our business is dedicated to this important task. 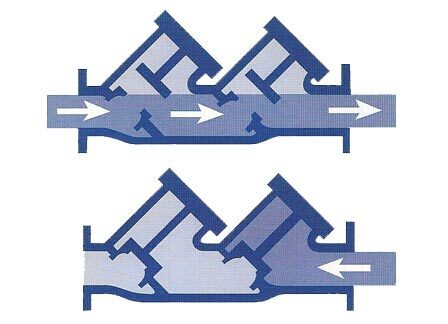 Backflow occurs when contaminated water reverses flow into the main pipeline or plumbing system that is shared by surrounding properties. This can create serious health risks, potentially contaminating the potable water supply across extensive sections of the city. Our friendly, professional Backflow Prevent team of plumbers are available for new installations or replacement of old backflow prevention devices in homes and residential buildings across Melbourne. We take great care to carry out the work to rigorous standards to prevent any future contamination and get as much value from your new device as possible, whether a single dwelling household or a real estate developer. As specialists in backflow prevention, our team of professionals excel at working with commercial buildings of all sizes and complexity. We can help with buildings that are newly constructed or under construction, or long established. Our plumbers provide sound advice on how best to protect your plumbing from backflow, along with superior service and workmanship. The Backflow Prevent team can advise on and provide the best and most appropriate backflow prevention devices for your particular building, usually with a range of options. We’ll explain the benefits of each available model, costs of installation and the process involved.